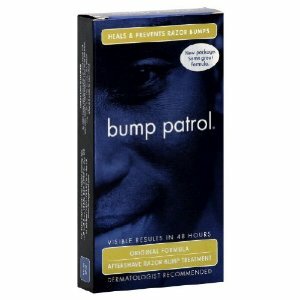 Bump Patrol (Heals & Prevents Razor Bumps) - 2 oz. Bump Patrol (Heals & Prevents Razor Bumps) - 1/2 oz. Gillette Fusion Hydra Smooth Shave Gel - 7 oz. Gillette Fusion Ultra Sensative Shave Gel - 7 oz. Gillette Series Moisture Shave Gel - 7 oz. Gillette Foamy Menthol Shaving Cream - 11 oz. Gillette Series Sensative Shave Gel - 7 oz. Barbasol Sensative Shaving Cream - 11 oz. Gillette Fusion Cooling Shave Gel - 7 oz. Gillette Series Pure & Sensative Shave Gel - 7 oz. Barbasol Regular Shaving Cream - 11 oz. Gillette Series Extra Comfort Shave Gel - 7 oz. Gillette Fusion Pure & Sensative Shave Gel - 7 oz. Barbasol Arctic Chill Shaving Cream - 11 oz. Barbasol Pacific Rush Shaving Cream - 11 oz. Gillette Fusion Soothing Shave Gel - 7 oz. Barbasol Aloe Shaving Cream - 11 oz. Edge Advanced Shave Gel - 3/9.5 oz. Gillette Foamy Sensative Shaving Cream - 11 oz. Gillette Foamy Regular Shaving Cream - 11 oz.